As stated in previous recent press releases by KINGMAX, the products KINGMAX will be focusing on this year are industrial products. 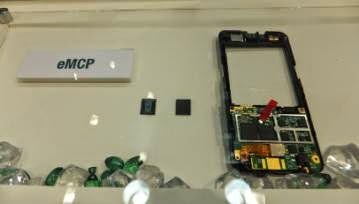 When we visited its booth on-site, most of the booth was indeed used to introduce industrial products including embedded products, SSD, memory cards, DRAM, even the large posters were focusing on embedded and wide-temperature application products. The overall decoration style of the booth was clean, simple and comfortable. And KINGMAX only used a disassembled mobile phone to clearly illustrate the application of eMCP; plain and simple. KINGMAX tried to give direct explanations for the application directions of these industrial products this time, which did effectively allow buyers to have a deeper understanding of the products, as compared to just marking the products with a bunch of specifications. 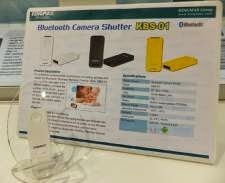 As for consumer products, a new type of OTG reader, the PJ-03, was released directly at the exhibition for OTG series products. It can be described as an upgraded version of the PJ-01, and obviously gives a new selection in OTG USB products for smartphone users. In the DRAM department, the DDR4 was release. 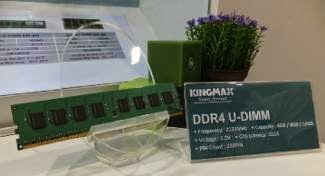 Although it is estimated that DDR4 will become the mainstream product for the market next year and every company is trying its best to display their own technologies, however, whether DDR4 will become the mainstream product still depends greatly on the directions of Intel products, so this has yet to be seen. Also, something very different in this exhibition is that KINGMAX released other products besides memory products! Countless number of participants came to the booth actively to tryout a great tool, camera shutter, to take selfies which can be used once paired with the mobile phone; it is very easy to use, no wonder everybody took out their mobile phones to try it out. 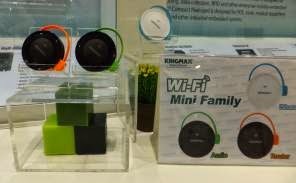 In addition, three new products were released with Wi-Fi functions: iShare, Mini Router and Audio. KINGMAX really made a lot of bold trials this time for various different needs. 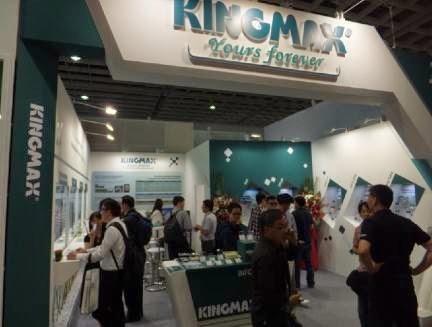 By using its own technology, the memory-related products released in the exhibition by KINGMAX were still outstanding; however, we also saw that KINGMAX thoughtfully released some new products to follow the footsteps of users in this exhibition. From the looks of things, we can have great expectations for this part too.